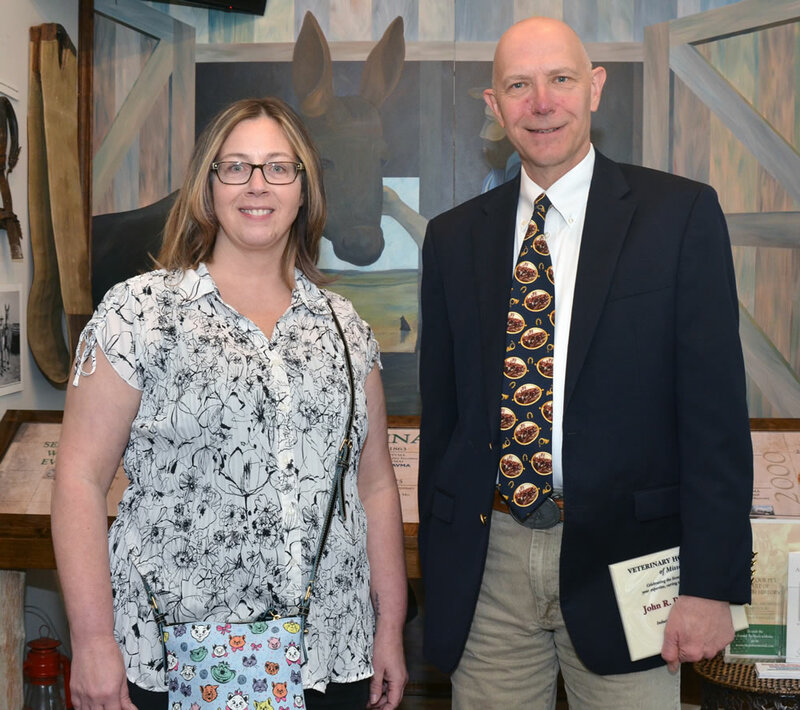 Marcy Hammerle nominated her former professor John Dodam for membership in the Missouri Veterinary Medical Foundation Hall of Fame.The Veterinary Honor Roll recognizes veterinarians who have been nominated for inclusion by those whose lives they have touched. 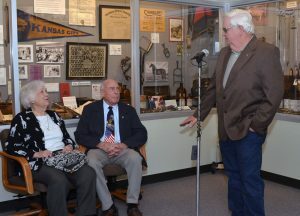 Their names and photographs are presented in a display within the foundation’s museum at the Missouri Veterinary Medical Association offices in Jefferson City. A University of Missouri College of Veterinary Medicine professor and a CVM alumnus are the newest inductees into the Missouri Veterinary Medical Foundation Honor Roll. Chairman of the CVM Department of Veterinary Medicine and Surgery John Dodam, DVM, MS, PhD, DACVAA, who also serves as a professor in the Departments of Veterinary Medicine and Surgery and Biomedical Sciences, and Maynard Bill Jones, DVM ’72, of Versailles, Missouri, were inducted into the Veterinary Honor Roll on April 28. Marcy Hammerle, DVM, a member of the CVM Class of 2003, nominated Dodam for the honor. Hammerle, one of Dodam’s former students, said that beginning the veterinary curriculum was a scary time for new students, but that Dodam had taken time to get to know her and her classmates. She added that after she entered the profession, her former anesthesiology professor remained generous with his time, always willing to take phone calls and share his expertise on anesthetic and pain protocols. Hammerle added that while serving on committees together, she had witnessed Dodam advocate for his family, students, house officers and Missouri veterinarians. CVM Dean Carolyn J. Henry congratulates John Dodam for his induction into the MVMF Honor Roll. “I just think he exemplifies a great teacher, a great veterinarian, and a good friend,” she said. 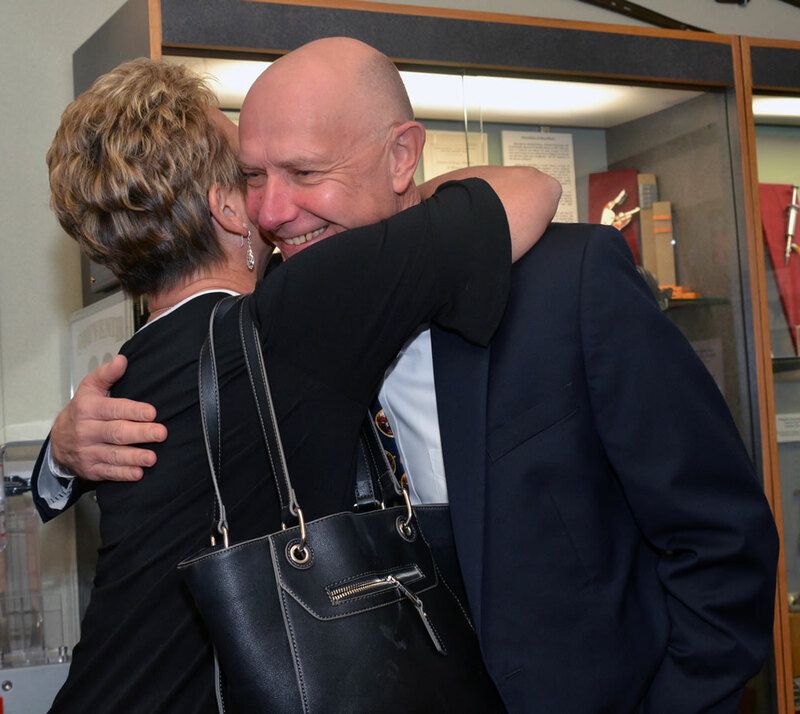 Dodam responded that, as a teacher, he considered it an honor to be nominated by a former student. 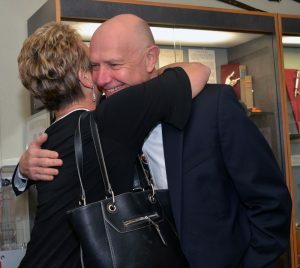 He also thanked his parents and family, the Appalachia veterinarian who supervised his first preceptorship when he was a veterinary student himself, and the members of his faculty. 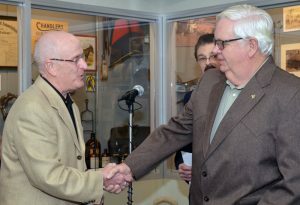 George Buckaloo (left) congratulates Bill Jones after Jones is inducted into the Missouri Veterinary Medical Foundation Honor Roll. MVMF Chairman Phil Brown, DVM, served as the emcee for the ceremony. Jones’ CVM classmate George Buckaloo nominated him for membership in the Honor Roll. 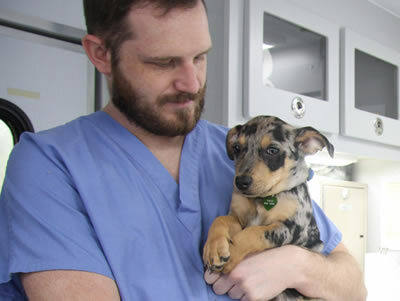 Jones is the owner of the Versailles Veterinary Clinic. Buckaloo noted that Jones has used his expertise to help his community’s fire and rescue service. He has also served organized veterinary medicine, in particular as a longtime member and chairman of the MVMA Emergency Management and Public Health Committee. He, along with William A. Wolff, DVM, helped build the Missouri Volunteer Veterinary Corps into a viable framework that works as a targeted and meaningful resource within Missouri’s state disaster response plan. Jones received the MVMA William A. Wolff Volunteerism Award in 2014 and was named the organization’s Veterinarian of the Year in 2018. Bill Jones thanks William Wolff with whom he helped build the Missouri Volunteer Veterinary Corps. An album of photos from the event can be found on the CVM Facebook page.